At Giabonni's Riverside Salon & Spa we understand how challenging it can be for a guy to get a great haircut. We pay special attention to your facial shape and your hair texture. Your haircut will be stylish and easy to maintain. We will also teach you simple styling techniques to keep your hair looking good. We are now offering a hot towel neck shave with warm shaving cream to pamper our men. 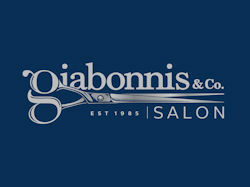 Visit Giabonni's Riverside Salon & Spa today!